59-year- old Jai Narayan claims he was pronounced dead by a doctor at CWM hospital in Suva in 2013. 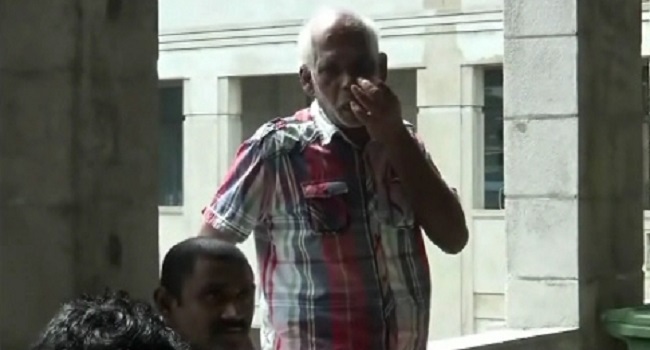 However, a very much alive Narayan appeared in the Suva High Court today claiming he was administered the wrong medication that caused his unconsciousness which led to the death diagnosis. Narayan is seeking compensation over the incident which has left him traumatized and unable to go back to the hospital for medical treatment. During the trial this morning, Narayan explained the events of 2013. He told the court he was at home and started developing pains on his right side when he was rushed to the hospital in an ambulance. He said that a female doctor attended to him and he informed the doctor that he was allergic to penicillin. Narayan claimed that the doctor ignored whatever he said and gave him a penicillin injection after which he collapsed and has no memory of the almost two hours he lay unconscious in a hospital bed. Narayan said that when he gained consciousness he saw his relative’s around him who were crying. He said his relatives informed him that the doctor had told them that he has died. Meanwhile, the defence said that the doctors had never declared him dead. The trial continues in High Court.